Premiumtraveltips.com – Who in the world never heard about Hawaii ? The Tip island that we can find in United States region should be one one the most beautiful if not the beautiful island that we can find in our world now. This place already become the most favorite place choose by the tourist for having their holiday in there. The travelers that love the nature and want to having a relax time provide by the beauty of nature will choose Hawaii as their first destination. Every one will fall in love with Hawaii when they come to this place because this place having a gorgeous panorama and also so many attraction that can relax our soul and mind after the hectic we get on our working day. 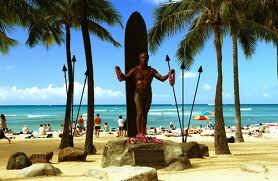 here is some place that the writers recommend for you when you are choosing Hawaii as your holiday destination. The third biggest island that we can find in Hawaii is Oahu. This island provide us a very stunning look that we can get in here. Also Oahu already become the most popular destination in Hawaii, all people that come to Hawaii will come to this place and make this place become the most hectic place we can find in Hawaii. Beside for the beauty of Kailua beach that we can find in here, also in Oahu we can find so many historical place like Lolani Castle, Kawaiaho Church and The king Kamehameha I tomb. If the travelers are looking for the beach that can give you the sense of relax and far away from a lot of people, they can choose Wakiki beach as their choose, in here also the traveler can learn to surfing. this beach also is the beach that become the living witness in where Duke Kahanmouku becoming ” Father of Modern Surfing “. 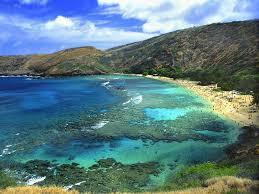 Hawaii is known as the region that been located in volcano cluster. So in 1916 The government of United States decide to build a Hawaii Volcano National Park in hawaii. 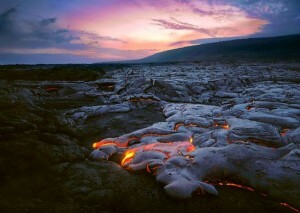 This National Park consist of to active volcano in Hawaii. First is Kilauea Volcano that know as the most active volcano and also Mauna Loa volcano, that been known as the biggest subaerial volcano. This national park is build with the mission to give education about the volcano to the tourist that visit that place. There is a lot of other place that the traveler can find in Hawaii and make them feel more excited to visit one of the heaven that we can find on our earth.